You are here: Home > Human rights in childbirth: does the baby have any? Human rights in childbirth: does the baby have any? I’ve noted in the past that homebirth and natural childbirth advocates love mantras and memes. They represent simple ways to communicate complex ideas, make wonderful sound bites, and for advocates, whether or not they are true is irrelevant. I’ve written about the “obstetricians ignore the scientific evidence” mantra, which doesn’t make sense if you think about it for any length of time. I’ve also written about the meme that the media is to blame for the pain of childbirth. … Childbirth is not inherently painful; its depictions in popular media like TV shows and movies tricks women into believing that childbirth is painful. Hence the otherwise inexplicable preoccupation on NCB blogs with how childbirth is portrayed in specific TV shows and movies. That one isn’t getting much traction since it is obvious that it isn’t true. The people who wrote the Bible thousands of years ago were so impressed by the pain of childbirth that they explained it as God’s punishment, and they weren’t exposed to many TV shows or movies. That’s the name of a conference organized by, for and restricted to homebirth advocates. And it figures prominently in a new film make the rounds in homebirth and natural childbirth circles, Freedom for Birth. Freedom for Birth is a new 60 minute campaigning film that re-frames Human Rights as the most pressing issue in childbirth today. In many countries around the world, women are being denied the most basic human right of autonomy over their own bodies. They cannot choose how and where to give birth. Those that persist in their desire to have a normal, physiological birth are sometimes forced by judges to surrender to surgery or threatened with having their babies taken away by child welfare services. In other words, the meme of human rights in childbirth refer to the rights of the mother. Let’s leave aside for the moment the fact that there is no legal or ethical right to have a homebirth; the right of autonomy allows for the refusal of hospital care (or any medical care), but it does not mandate an obligation on the part of others to provide a specific form of care. Let’s ask an obvious question: does the baby have any human rights in childbirth? The baby? You remember the baby, the other individual whose life is at stake during the process of birth? What about the baby? I’m not talking about legal rights. 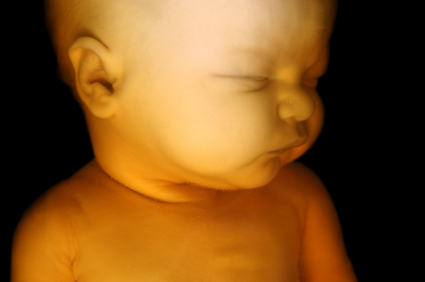 Children have virtually no legal rights before birth. I’m talking about moral rights. When a mother makes the decision to take a pregnancy to term, does the baby have a moral right to receive appropriate and life-saving medical care? So in a very real sense, the question is: Does a baby have a moral right to receive life-saving medical care when the mother is refusing it for no better reason that to have a specific birth “experience”? Philososphy Professor Julian Savulescu and obstetrician Lach De Crespigny of the Oxford University Centre for Practical Ethics believe that a baby does have that moral right. They make their case in an article entitled The Continuing Tragedies of Home Birth and the Rights of the Future Child. … [T]he fetus has few ethical or legal rights; maternal autonomy includes the right to risk perinatal death as well as her own death. Ultimately women have autonomy regarding whether to take such risks. Professionals and pregnant women have an ethical obligation to minimise risk of long term harm to the future child; harm to people who will exist is a clear and uncontroversial morally relevant harm. Consistent with this, antenatal care focuses on minimizing the risk of harm to the future child, whether by advocating for alcohol abstinence in pregnancy, folic acid supplementation to reduce the chance of neural tube defect, or minimizing teratogenic risks of medications in pregnancy. Maternal and perinatal mortality are truly tragic outcomes. Professionals must encourage women to deliver in a safe environment and also practice safe and competent obstetrics. The professional bodies and the law must do all they can to ensure this happens. … [T]he silent tragedies are not the deaths, but the long term disability that results from homebirth. And it is this risk that weighs most heavily against homebirth. What disability? When a baby is obstructed in labour at home, or born with hypoxic brain injury, the delay in transferring to a tertiary hospital may result in permanent severe disability that will persist for the rest of that person’s life. In some cases, that disability was avoidable if the delivery had occurred in hospital. To take an extreme example, a person might be avoidably quadriplegic. Now what risk could should a parent take to have “a really lovely spontaneous birth at home” that justifies quadriplegia? One in 1000? One in 1000 000? Anything? I would agree. Simply put, an unborn term baby has a moral right to receive potentially life-saving medical care, and that moral right is not trumped by something as trivial as the mother’s desire for a specific birth “experience.” This is analogous to a right of a child already born to receive life-saving medical care. That is a legal as well as a moral right. The parents’ desire to avoid medical care, to substitute prayer, or to simply ignore the child’s distress pales into insignificance next to the child’s legal right to life-saving care. And as Savulescu and De Crespigny note, there is more at stake than simply the child’s right to live. The child also has a moral right to be born with the full complement of brain cells and potential that it possesses at the start of labor. The child has a moral right to receive care that minimizes the risk of brain injury and that mother’s desire for a specific birth “experience” pales into insignificance next to that moral right. So the next time a homebirth or natural childbirth advocate insists that childbirth is a human rights issue don’t hesitate to ask the obvious question: what human rights in childbirth does the baby have? Feminists sometimes spell it that way but it seems only hippie types use it these days. As a feminist I believe all women have the right to medical care including a safe sanitary hospital birth so it is sad to see this term appropriated by people who believe a less safe form of birth is better for ideological reasons. Most places do not allow women to abort at any point during their pregnancy. Many women around the world still do not have access to hospital birth and have no other option than to give birth with an unskilled birth attendant. ‘Baby’ and ‘fetus’ mean different things. We don’t use ‘fetus’ to describe the unborn to dehumanize them; we do it because a fetus is morally and legally different from a baby. It is possible to believe that, when a pregnancy is ending with a birth, the person being born has rights they do not have as an occupant of the womb who is using the mother’s body during gestation. It is also possible, I believe, to legitimately say that a woman has the right to abort a pregnancy she does not consent to continue, but that providing consent to continue brings with it certain moral obligations to the potential person being developed. Thus I would say there’s a big difference between a woman who says “I do not consent to carry this pregnancy to term” and a woman who says “I’m carrying this pregnancy to term, the end result of which will involve adding a new person to the world. However, I will forego the means at my disposal to ensure that new person has its optimal health and mental faculties at birth”. That mentality treats the new person being born at the end of the pregnancy as a possession of the parents, like a handbag or a pair of shoes, when the reality is that your accessories will never have to make their own way in the world or face the consequences of having been your property.